The following contains spoilers for season two, episode seven of Westworld. This week’s episode of Westworld contained some minor revelations that—as with all revelations in this show—only led to more questions. But the final scene offered perhaps the most concrete glimpse of where the show is headed, literally. 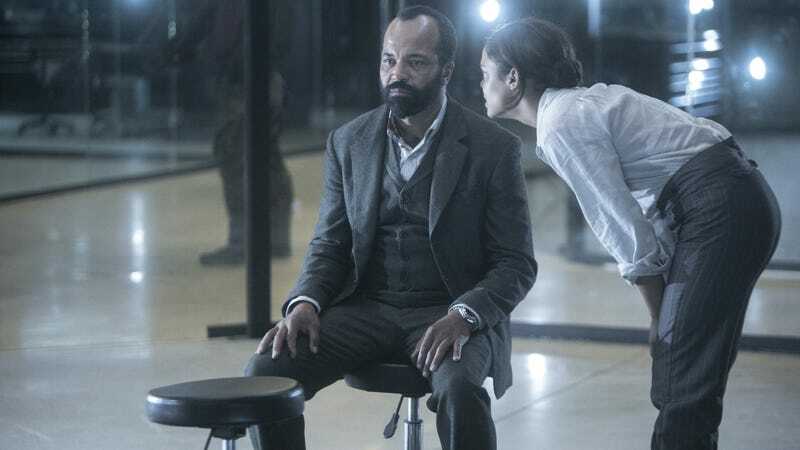 After discovering that Bernard is actually a host, Delos employee of the month Charlotte Hale (Tessa Thompson) decides to torture him until he tells her where Peter Abernathy’s control unit is located. Eventually he does: “Sector 16, Zone 4,” the place the hosts refer to as “The Valley Beyond.” Great. Now we’ll finally get to see this place that’s been alluded to all season long. Esquire collected a few fan reactions to this scene, all of which revolve around the idea that someone or something is making Bernard lie. “Hale programmed him to say what she wanted him to repeat,” said one user. “It’s a trap for Strand and team.” That’d be a pretty bold move for Hale to make, but not out of the question considering the lengths we’ve seen her go to in previous episodes. This would also fit with the fan theory explored in this video, which claims Hale is actually working for a third party against the Delos company. Still, if this trip to the Valley Beyond is indeed a ruse, does that mean there is another, real Valley Beyond elsewhere in the park? Or is it more of like a “state of mind” kind of thing? Of course, there’s always the chance that the first, silent exchange between Bernard and Hale was meant as a misdirect, and there’s nothing remotely fishy going on here. Maybe the writers, knowing the predilections of their fanbase, are just screwing with us. Either way, all roads point toward Sector 16, Zone 4, which will unquestionably provide us a few moderately satisfying answers and a whole bunch of additional speculation.